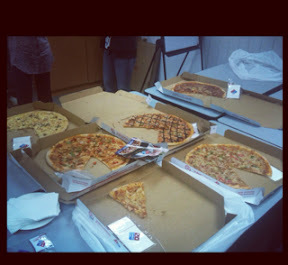 Well, thanks to some good performances for the past quarter by my company, the bosses decided to treat the bunch of us some really good domino's pizza. I was sort of late to the feast though, so by the time I arrived at the conference room, people were already digging into the food. It was an awesome meal, plus since it was a treat, the food tasted better! 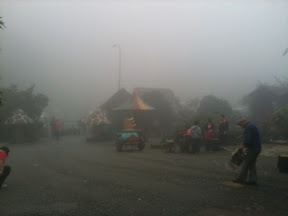 Well, last weekend I had to go up Genting Highlands to meet the in-laws. 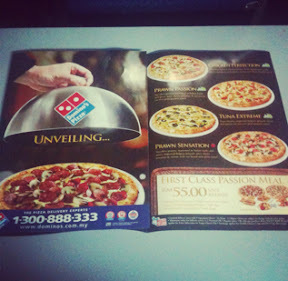 I took my own sweet time though and only began departing from my house in Setapak at 2am. It took me roughly 40 minutes to reach the peak, but the weather was unforgiving to say the least. It was so cold, and coupled with the mist, visibility went down to <100m. 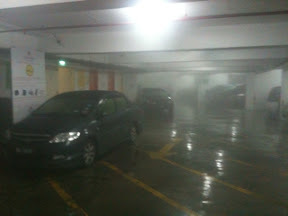 What actually freaked me out was not the lonely journey up Genting at 2.30am in the morning with no cars do be seen, but the fact that I had to enter the carpark looking for a parking space with nearly zero visibility. 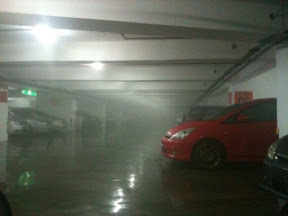 Remind me to drive up Genting Highlands earlier in the night next time.